Noida : Jaypee Hospital, a multi super specialty hospital in Sec 128, Noida, expands its healthcare solutions to tier-II cities of North India. The upcoming hospital in Chitta, Bulandshahr will be one of its kinds with 200 bedded facilities which will be operational by January. The OPD services in Chitta, Bulandshahr have already been started this month. 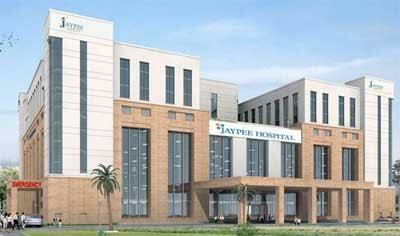 The Noida based Jaypee Hospital that started nearly two years ago; herald the group to enter the healthcare space. The hospital has commissioned 525 beds in first phase and further plans to increase it to 1200 bedded tertiary care multi-specialty facility. The Chitta hospital is currently providing OPD Services in Internal medicine, cardiology, gynaecology, paediatrics, orthopaedics, nephrology etc. and aims to provide best of health solutions to the people of Bulandshahr who otherwise had to travel to Delhi NCR for their treatment. Now, they can be benefitted by the world class treatment at their doorstep. Jaypee Hospital offers comprehensive care in all multi-super-specialties, which include Cardiac Sciences, Neuro sciences, Spine, Orthopaedics & Trauma, Critical Care & Pulmonology, Vascular and Endovascular Surgery, GI and Hepatopancreaticobiliary, Oncology, Nuclear Medicine, Aesthetic and Cosmetic Sciences, Neonatology.